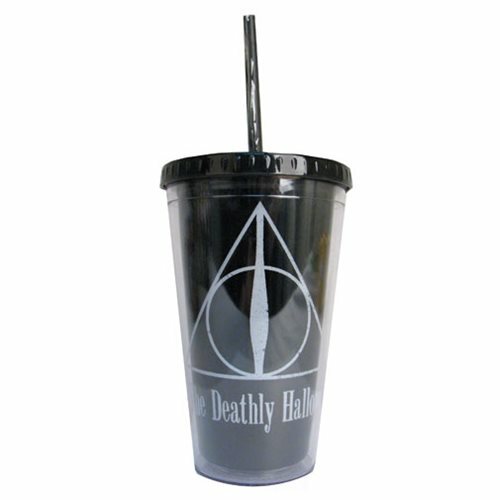 With imagery inspired by Harry Potter and the Deathly Hallows, this plastic Harry Potter and the Deathly Hollows Travel Cup holds 16-ounces and includes a lid and straw. Hand wash only. Not dishwasher safe. Do not microwave. Cup measures approximately 6-inches tall. Ages 14 and up.